Based on reviews from 112 experts and 1,470 users. Learn how our rankings work or see our guide to yellow Nike basketball shoes. Updated Apr 2019. 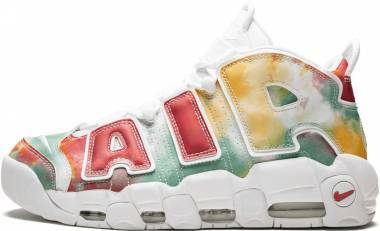 Colored basketball shoes have long been a staple on racks as well as on the court ever since it was introduced back in the day. Today, it is not uncommon to see the boldest colorways on the feet of basketball superstars and sneaker enthusiasts, alike. 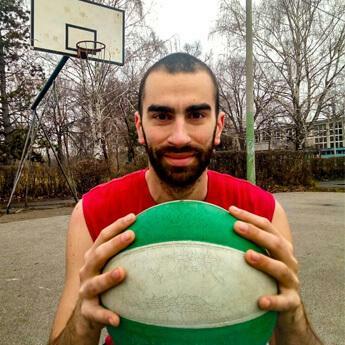 Giant sportswear brand Nike is among the top brands in the sport which offer basketball shoes that are not just highly functional but also aesthetically up-to-date. Alongside the top-of-the-line innovations packed in their sneakers, the swoosh also dressed them all sorts of colorways that appeal to the taste of modern-day fans. 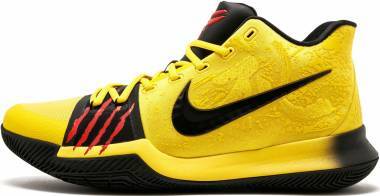 Among the more popular hues seen on the court are yellow Nike basketball shoes. Yellow Nike basketball shoes are probably among easily noticeable kicks on court. Players who dare to wear them sure don’t mind standing out on the court. Here’s a quick roundup on some of the most noteworthy yellow Nike basketball shoes. Kobe AD 2018. Even post his 20-year career in basketball, the Black Mamba’s legacy in the sport lives on in his signature basketball shoes. Built in a low-profile silhouette, the Kobe AD 2018 is released in various colorways, including a Lakers pack to show some love for the Lakers Nation. These purple and yellow Nike basketball shoes are set up with a phylon and Zoom cushioning system that is similar to that of Kyrie models. Meanwhile, the entire shoe is lined with lightweight and breathable mesh that gives an excellent fit. KD IV. Leo Chang came up with the design of KD’s fourth signature shoes that was initially released in 2011. The following year, the Scoring Title special colorway was debuted in honor of Durant earning the NBA scoring title that season. This yellow and blue Nike basketball shoe wore a revised midsole that featured a 180-degree Zoom Air unit with Phylon. It also employed Nike’s Flywire technology on its low cut seamless silhouette. The bold and modern look of this sneaker can easily transition from the court to the streets. Kyrie 2. Mirroring the unpredictable playing style of the player, Kyrie Irving’s second generation shoe highlights a lightweight construction alongside a newly rounded outsole to ensure speed and agility on the hardcourt. 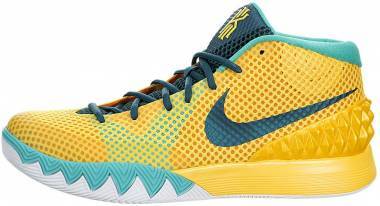 Nike released this sneaker in a Tour Yellow colorway, among others, to give a nod to Irving’s roots. The yellow and black Nike football boot comes in a mid-cut silhouette that offers ample support for the ankles without restaining mobility. Yellow: What does it stand for? The vibrance of yellow exudes a happy and radiant vibe reminiscent of the color of the shining sun. The hue is said to elicit happiness and optimism as well as sparks of creativity as it is believed to influence the left side of the brain. Additionally, it represents high energy, enthusiasm, hope, fun, and cheerfulness. These definitions of yellow make it such a fitting hue for sports like basketball. In fact, more than a handful of basketball teams include yellow in their official team colors. The L.A. Lakers and Golden State Warriors are just some of them. And judging from the record of these teams, the hue sure has been well represented. Not only that, but yellow seemed to have worked like a charm for teams who wear it. Aside from the basketball teams mentioned, international football’s Brazil team, as well as IPLs Chennai Super Kings, also sport yellow jerseys on the field. So what do these teams have in common besides the color of their uniforms? Championship trophies, which incidentally is also in a shade of yellow. 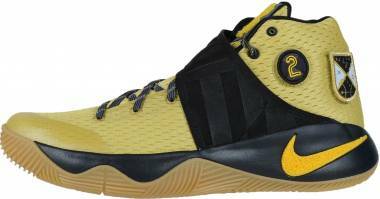 Modern designs of yellow basketball sneakers have made it possible for them to be worn off the court. With yellow being quite a playful and lively hue, wearing it won’t fail to put a smile on everyone’s face. The hue is one that easily matches other colors, like blue, white, or green. Bolder shades of yellow will suit more toned-down outfits, possibly ones in monochrome. 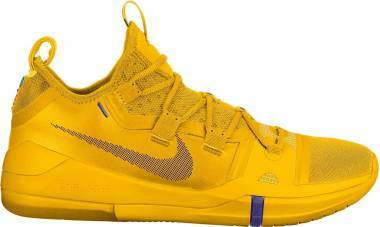 Are their LeBron signature shoes that come in a yellow colorway? Though most earlier releases of LeBron’s signature shoes steered clear from yellow, his move to the Lakers changed that. One of his latest sneakers was spotted in a new colorway as fans saw him wear it during their game with the Timberwolves last October 2018. The Nike Lebron 16 wore a seemingly Bumblebee-inspired colorway that night. 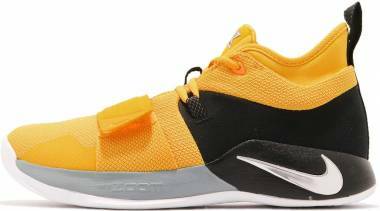 Its all-yellow Battle Knit 2.0 upper featured black accents that looked really cool on the court. The shoe is also available in an all-purple edition.